A question came from Paul via the Digital Art Gallery. He uses Elements to make a signature and recently saw someone make a signature brush in Photoshop. He wanted to know if you can make a signature in Painter 12.2. Well, wouldn’t you know it. I forgot to talk a bit about the Text Tool. I will save covering the Text Tool in-depth for another time. 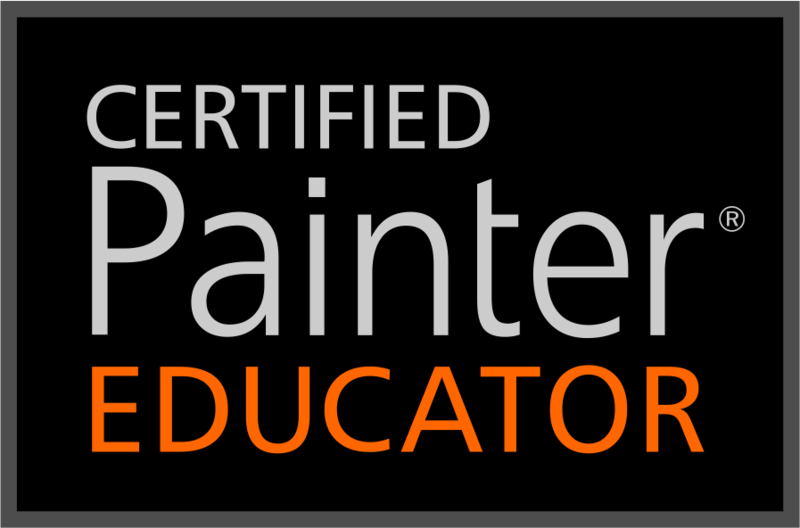 Before I do anything else, I would like to announce that the Digital Art Academy and Painter Talk are now back up and running. I want to say a big thank you to Karen Bonaker, the owner and creative force behind DAA and Painter Talk. And, I must thank Ken Foster, Karen’s IT guy, who worked tirelessly to get us back up and running. The following video is in response to a question by Maribel about digital watercolor. She was not getting the same results I was getting; her colors were too dark. Thanks for the question Maribel; I hope this video helps.